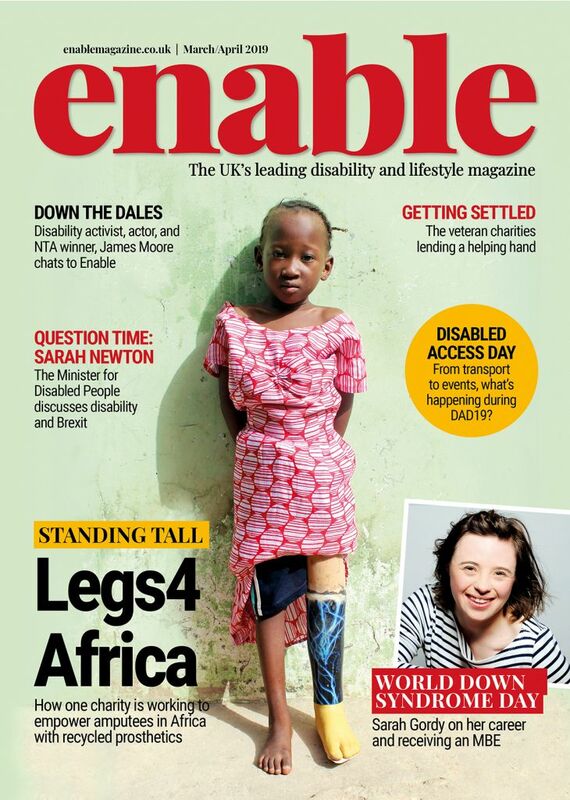 The July/August issue of Enable is all about independent living, from holidays to transport, finance to future planning. But what does independence really mean? And how much control can you have as a disabled person? We take a look at just how important – and possible – it is to have choice and control over your life. Historically, disabled people have had decisions made for them. As recently as 50 years ago, people with learning disabilities, mental health problems and physical disabilities were shipped off to institutions, budgets handed over to someone else and plans laid out without any consultation. Thankfully, the disability rights movement came along and all of this changed. Personalisation is the buzz word in care today, with the disabled service user and their preferences put at the centre of decisions made. Rather than being ‘looked after’, it’s all about enabling disabled people to take control of their own lives and live as independently as possible. Despite this drive towards independence, one quarter of disabled people say that they still do not frequently have choice and control over their daily lives. However, there are lots of ways in which you can gain some independence, from big decisions like where you live to smaller things like what you have for dinner, whether you accept help from others or invest in support aids. Independence is important to everyone, and not just from a human rights point of view. Doing things for yourself and having a say in how you live your life helps to develop important life skills and confidence. Over time, these skills can be used to do more and more for yourself. Living independently doesn’t mean going solo, providing for yourself and doing everything on your own. ‘Independence’ is a really flexible term – what’s important is that people have freedom, dignity choice and control over their lives. For one person, this might mean booking a round-the-world adventure, while for someone else, it could be about making a trip to the supermarket on their own. Whatever your goals and aims, sometimes it might mean accepting a helping hand from someone else. Support comes in lots of different forms. Local authorities, private care providers and charities all have services which can enable people to live independently, whatever the individual’s needs, and there are literally dozens of ways in which they can do this. At-home help for a couple of hours a week. Training schemes in everything from cookery to using public transport. Getting help with cleaning your house. Having someone accompany you to the supermarket. Getting a carer to pop in every day to help you get up, washed and dressed, and having a say in who that carer is. Taking control of your care budget through Direct Payments. And this is just scraping the surface of what’s helping people achieve their goals. Whatever your needs, and no matter how much or how little help you require, there will be some sort of service to help you without over-supporting, something which can be really counterproductive when it comes to dreams of independence. Living independently doesn’t have to mean living alone in your own home either. 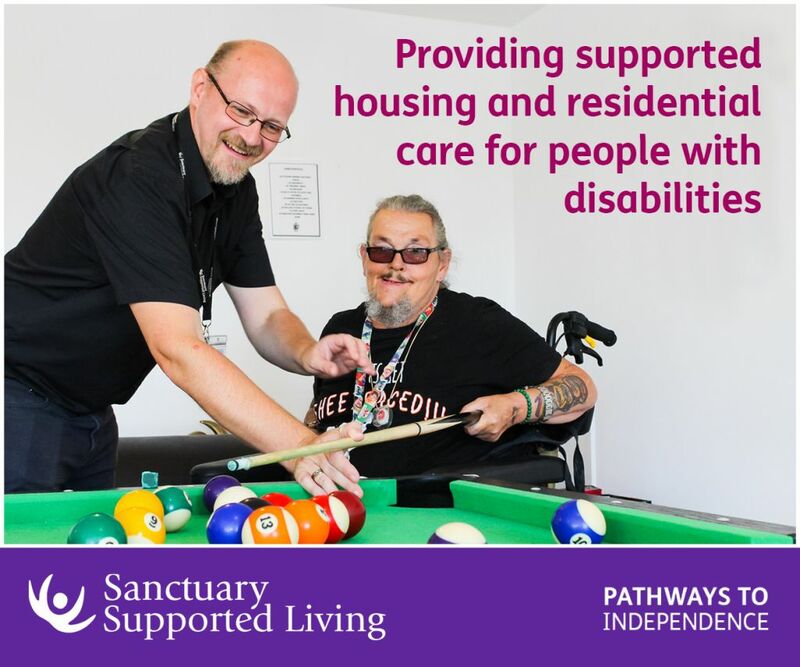 Sheltered and supported housing and shared living options all enable people to live their life the way they want to, with the reassurance that someone is on hand in case there is a problem. It is possible to have full-time support but still have choice and control over the service you receive. Of course, you don’t have to go to other people for help – there’s a range of aids that can help you live comfortably in your own home, and technology is advancing rapidly too. Adapting your home to fit your needs is a great starting point, while communication technology in the form of tablet computers loaded with specialist software has been completely transformative for thousands of people with communication difficulties. Support animals, too, such as hearing dogs or assistance dogs from Canine Partners, have proven to be incredibly positive for many people who need a helping paw around the home, and taking on the responsibility of caring for a furry friend is a massive confidence boost, not to mention great company! The first step towards getting support is to contact your local social services and arrange an assessment of need. From there, you will get a budget allocated and you will formulate a support plan. You can do this through your local authority, or you can go to an independent or charity care provider, such as United Response or Dimensions. Independent living centres are another great resource, providing information on services that can enable you to live a more independent life. Check out the Assist UK site at www.assist-uk.org to search for your nearest centre, or contact your local council to ask what’s on offer in your area. Whatever your support plan, the most important thing is that it’s about you, your needs and preferences. Think about what your goals are – what do you want to be able to do for yourself, and what can be done to help you do that? Good support is all about giving a person the tools they need to achieve a goal, not doing it for them if you don’t have to. Personalisation is so important when it comes to gaining independence, so make sure that your goals and aims are at the heart of everything you do. With the right support in place, the world really is your oyster. For Dan, renting his own house and securing his first job signalled the start of a truly independent life. In 2010, when national support provider Dimensions began supporting him, Dan moved back to the city he grew up in after being placed in an out-of-county setting 300 miles away for about 16 years. Now he rents his own house, works three shifts a week cleaning at an office and receives about 100 hours of support each week. The 33-year-old, who has learning disabilities, likes his own space – something he wasn’t able to get when he was over-supported in the out-of-county setting where he had no choice about his lifestyle. He explains: “I didn’t like living where I was before; I was away from my family and couldn’t choose what I wanted to do. 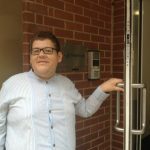 Dimensions’ personalised approach to Dan’s support package has boosted his confidence and developed his life skills. Dan likes to keep busy and now often travels unsupported around the city, going shopping and to an animation class; all things previously he wouldn’t have had the option to do. Dan sorts his own bills and his support hours are soon due to be reduced because he is so capable of being independent. Dimensions supports around 3,000 people with learning disabilities and autism across England and Wales. The not-for-profit organisation is a leader in personalisation and recognises that independence is different for everybody. For some this means making a hot drink for themselves, for others it means holidays abroad; independence comes from people having choice and control over their lives. Find out more about Dimensions’ services at www.dimensions-uk.org or call 0300 373 3730. Be the first to comment on "Exploring Independence"